400m sprints on each end. The three metcons in the middle are meant to be sprints and can be done in any order. Rest 2 mins between each one. Pick a scaling option that gets the metcons done in 4-6 mins each. 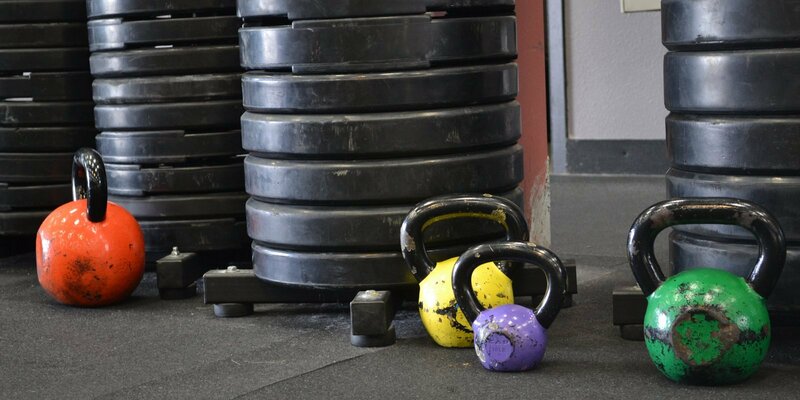 CrossFit Salem South - Free Basics WODView Public Whiteboard1: Metcon (AMRAP - Rounds)EMOM 30 min Min 1: 150m Run Min 2: 20 KB swings Min 3: 150m Row Min 4: Max sit-ups Min 5: REST REPEAT x6Scale Run/Row to allow 10-15 sec rest. Scale Run/Row to allow 10-15 sec rest. CrossFit Salem South - CrossFitView Public Whiteboard1: Metcon (No Measure)EMOM 9 min Min 1: Max L-sit hold Min 2: Max Handstand hold Min 3: Max Static ring holdHolds for max time. Must complete at least :30 sec cumulative time if broken.2: Metcon (Time)Partner UP!! "I go, you go" For time: 8 rounds each 12/10 Cals Bike 50m Sandbag Carry (110/80)Each partner completes cals and carry before next partner begins. Each partner completes 8 rounds. Carries performed in the front bear hug position. Holds for max time. Must complete at least :30 sec cumulative time if broken. Each partner completes cals and carry before next partner begins. Each partner completes 8 rounds. Carries performed in the front bear hug position. CrossFit Salem South, CrossFit Salem West - CrossFitView Public Whiteboard1: General Warm Up 3 (No Measure)500m Row 3 rounds of: 10 Kip Swings banded side shuffle D&B 10 slow squats with 3 sec pause 10 push ups with downward dog finish2: Double-Unders (10 min)10 minutes to work on skill progression.3: Metcon (Time)For time: 10 Rounds 30 Double Unders 20 Med Ball Squats (20/14) 100m Run w/ med ballMed ball squats- hold ball in front rack position. 10 minutes to work on skill progression. Med ball squats- hold ball in front rack position. 12 minutes to record highest box jump possible. Score is inches. Each partner completes movement before moving to the next.